Patent No. 9861628 is for a fast-dissolving wafer containing buprenorphine, a generic drug that has been around since the 1970s. Herzberg, a historian who focuses on the opioid epidemic and the history of prescription drugs, said he fears the patent could keep prices high and make it more difficult for poor addicts to get treatment. “It’s hard not to have that reaction of, like … these vultures,” said Herzberg, an associate professor at the University of Buffalo. Yet, the patenting of a small change in how an existing drug is made or taken by patients is part of a tried-and-true pharmaceutical industry strategy of enveloping products with a series of protective patents. (Bloomberg via Getty Images, FILE) Purdue Pharma L.P. OxyContin medication sits on a pharmacy shelf in Provo, Utah, Aug. 31, 2016. Lisa Larrimore Ouellette, a patent law expert at Stanford University, said the pharmaceutical industry gets a greater financial return from its patent strategy than that of any other industry. AztraZeneca in 2001 famously fended off generic versions of its blockbuster heartburn medicine Prilosec by patenting a tweaked version of the drug and calling it Nexium. When Abbott Laboratories faced multiple generic lawsuits over its big moneymaker Tricor, a decades-old cholesterol drug, it lowered the dosage and changed it from a tablet to a capsule to win a new patent. And Forest Laboratories stopped selling its Alzheimer’s disease drug Namenda in 2014 after reformulating and patenting Namenda XR to be taken once a day instead of twice. Another common strategy is to create what Food and Drug Administration Commissioner Scott Gottlieb calls “patent thickets,” claiming multiple patents for a single drug to build protection from competitors. AbbVie’s rheumatoid arthritis drug Humira has gained more than 100 patents, for example. The U.S. Patent and Trademark Office awards patents when an innovation meets the minimum threshold of being new and non-obvious. Secondary patents are routinely granted to established drugs when an improvement is made, such as making it a once-a-day pill instead of twice a day, said Kristina Acri, an economist and international intellectual property expert at the Fraser Institute and Colorado College. “Is there a better way? Maybe, but that’s not what we’re doing,” Acri said. Continuation patents do not necessarily extend the patent life of a drug, but they can have other uses. 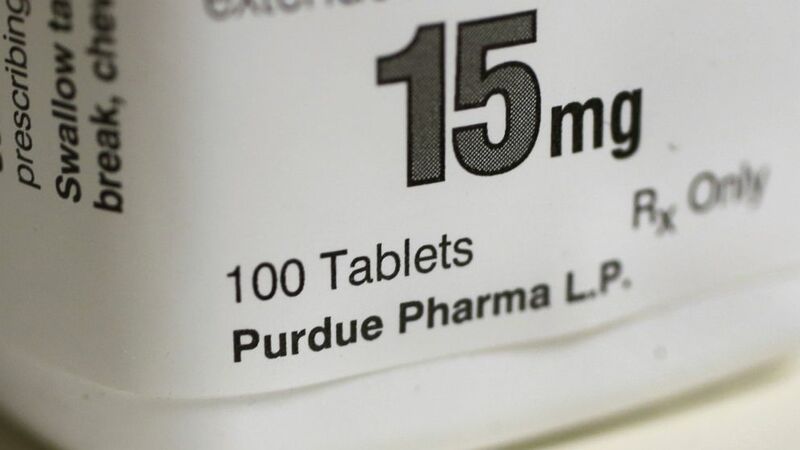 In 2016, Rhodes filed a lawsuit against Indivior alleging patent infringement. Indivior, formerly part of Reckitt Benckiser, sells a film version of the popular addiction treatment drug Suboxone that is placed under the tongue — an oral medicine similar to what Rhodes has patented. Indivior’s comes in a lime flavor. Indivior’s film, which federal regulators approved in 2010, dominates the market with a 54 percent average market share, according to the company’s most recent financial report. And the company has vigorously fought rivals, including filing lawsuits against firms such as Teva Pharmaceutical Industries, which sought approval to manufacture generic versions. Indivior declined to comment. The Rhodes Pharmaceuticals version would be a wafer that melts quickly in the mouth. The inventors list potential flavors including mint, raspberry, licorice, orange and caramel, according to the patent. Decisions on what is available on the market to treat addicts should be based on what is the best way to treat the people who have the problem, he said. Attempts to change the patent system have intensified over the past decade as prices of prescription drugs continue to climb. In 2011, President Barack Obama signed the America Invents Act, which included the creation of the Patent Trial and Appeal Board. The PTAB is an alternative to using the cumbersome U.S. court system to challenge weak patents. Generic drug manufacturers have used the board’s “inter partes review” process and overturned 43 percent of the patents they challenged, according to recent research. Critics of the administrative process, including the pharmaceutical industry trade group PhRMA, said it creates “significant business uncertainty for biopharmaceutical companies.” Often companies have to defend their products twice — both in the courts as well as before the PTAB, said Nicole Longo, PhRMA’s director of public affairs. Drug giant Allergan attempted to overcome the PTAB’s review process by arguing that the patent couldn’t be challenged at the review board because they sold the patent to the St. Regis Mohawk Tribe, which had sovereign immunity. A federal appeals court ruled this summer that Allergan could not shield its patents from the PTAB review this way. This year, several members of Congress proposed bills that would unwind or limit changes made by the America Invents Act, though nothing is likely to happen before the midterm elections. The STRONGER Patents Act, introduced in both the House and Senate, would weaken the PTAB board by aligning its claims standards with what has been established by court rulings.